Connie Grant - Thank you for sharing. 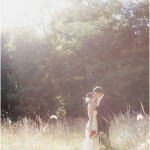 The pictures are gorgeous just as the day was in Valley Cottage. Much happiness forever.